NEW YORK (WABC) -- As the Blizzard of 2017 takes aim at the New York area, it follows other blizzards that have also struck in mid-March, including one of the worst in American history. 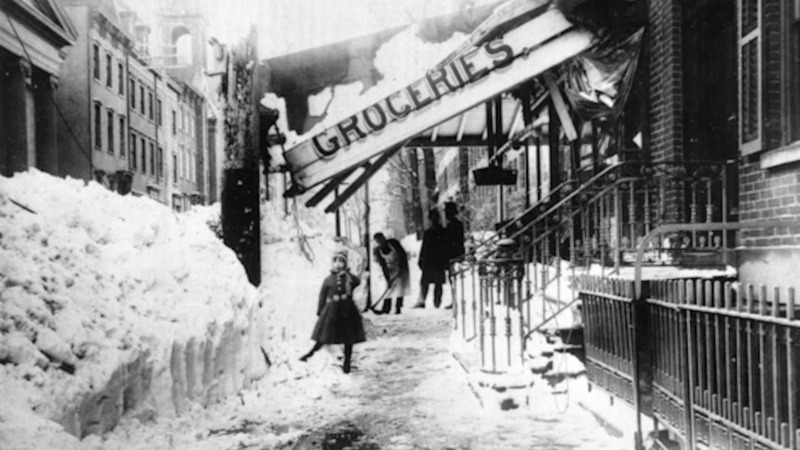 From March 12-14 in 1888, the Blizzard of '88, also known as the "Great White Hurricane," inundated the northeastern United States, resulting in some 400 deaths. The storm dumped as much as 40-50 inches of snow in New York, New Jersey, Massachusetts, Rhode Island, and Connecticut. Winds reached up to 60 miles per hour, creating drifts as high as 50 feet. 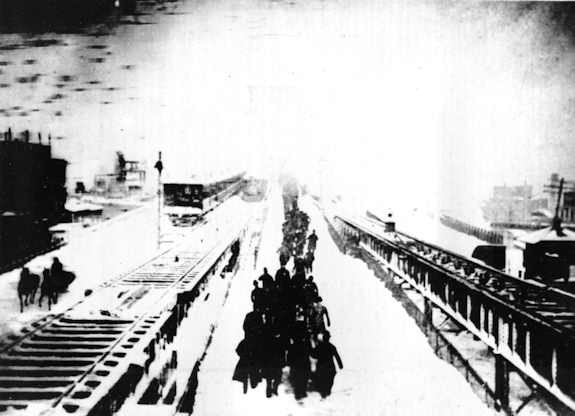 This picture shows New Yorkers hiking across a bridge after being forced to leave their train when it stalled as a result of the heavy snow. 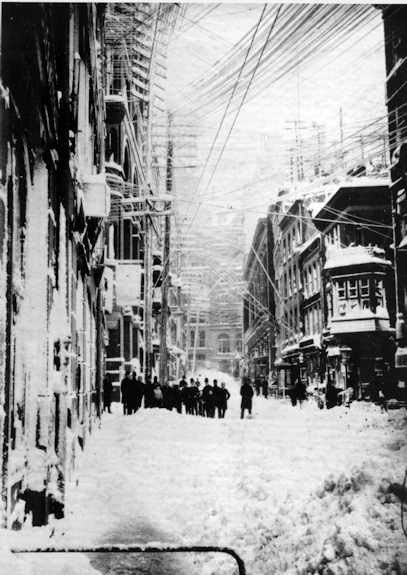 Railroads were shut down, telegraph lines were disabled, and much of the East Coast was paralyzed for days. This picture shows a New York street during the blizzard. Telegraph and telephone poles and wires were downed and lay in the streets. In March of 1993, a deadly blizzard known as the 'Storm of the Century' dumped nearly 20 inches of snow across the Northeast and left more than 300 people dead.